At Micromold, Inc., we are extremely proud of the hard work we've put into becoming and maintaining our ISO 13485 certification. We are confident that you will appreciate when deadlines are met and products are manufactured to specification. Customer service is always our utmost concern. If you are not familiar with ISO 13485 certification, feel free to use the links we've provided below to find out more about the process and what doing business with a certified company can mean to you. 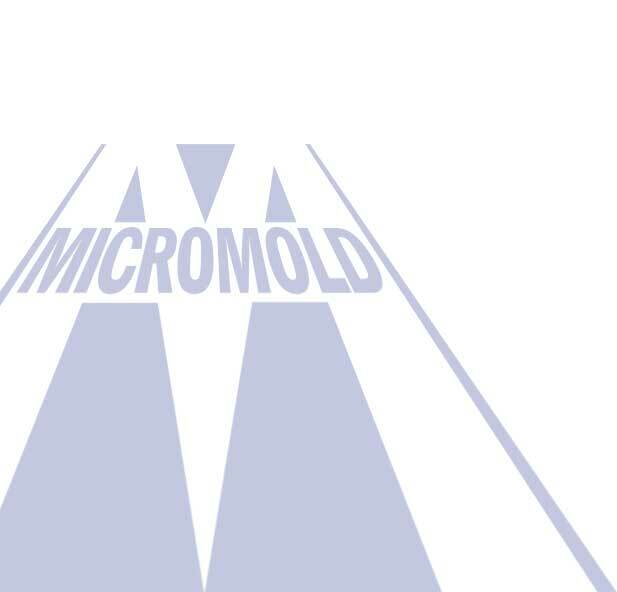 We at Micromold , Inc. are committed to continually improving and maintaining the effectiveness of our quality management system. This quality policy ensures both Micromold and our Customers quality requirements and objectives are fulfilled.